Bevcan is Africa's largest beverage can manufacturer. Our cans make up most of the South African and Angolan markets and about 45% of the Nigerian market. 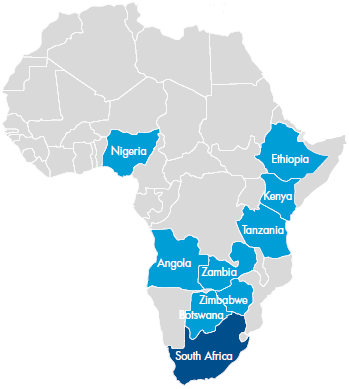 DivFood operates five sites in South Africa and one in Botswana, manufacturing two- and three-piece tinplate food cans, and various diversified tinplate cans. We are the only producer of two-piece tinplate cans and aluminium monobloc aerosol cans in South Africa. Around two-thirds of our sales are to the food industry. Our businesses in other countries in the Rest of Africa produce a wide range of metal packaging products. After a strong first half, Bevcan reported slightly lower sales volumes for the year as customer demand declined sharply in the second half in a weak economy. The downturn in demand was exacerbated by the start-up of competition and larger volume allocations by customers to the new entrant. Greater internal operating efficiencies – including reduced levels of spoilage and cost savings – supported stronger profits in the year. In June, we closed our Cape Town tinplate beverage can line, removing capacity of 600 million cans a year and delivering annual savings of some R60 million. We regrettably report that Ngwato Matsimela was killed in an accident at Bevcan Springs on 24 October 2018. We express our sincere condolences to his family. DivFood recorded increases in both sales volumes and profitability, supported by a higher South African fish catch and good demand for canned vegetables, as well as better supply chain management and a stronger safety performance. The improved financial performance was despite heightened competition and subdued demand from consumers for discretionary spend items packaged in metal, such as paint, air fresheners and monobloc aerosols. With slow demand in a weak economy as well as greater competitor activity, the outlook for Nampak Metals in South Africa affords us the opportunity to further improve our efficiency and cost base by focusing on "simplifying to satisfy". We are well positioned for any growth in demand in the short term and our costs are tightly managed. Early in the new financial year, at DivFood we will complete the modernisation of our two-piece can line in Rosslyn as well as the installation of additional tinplate aerosol can capacity in Vanderbijlpark. We look forward to benefiting from recent gains in our ability to run on lower levels of inventory. Despite continued sluggish economic activity, Bevcan grew sales volumes in Nigeria, expanding our share of the market, which was accompanied by some downward pressure on unit margins. In Angola, foreign currency shortages for much of the year and a weakening kwanza impacted the supply of raw materials, leading to lower production volumes as well as reduced affordability of beverage cans by consumers. This resulted in lower trading profits. With the restoration of foreign exchange liquidity towards year-end, we resumed a project to convert our tinplate beverage can production line to one that manufactures slender aluminium cans, at a cost of some R280 million. 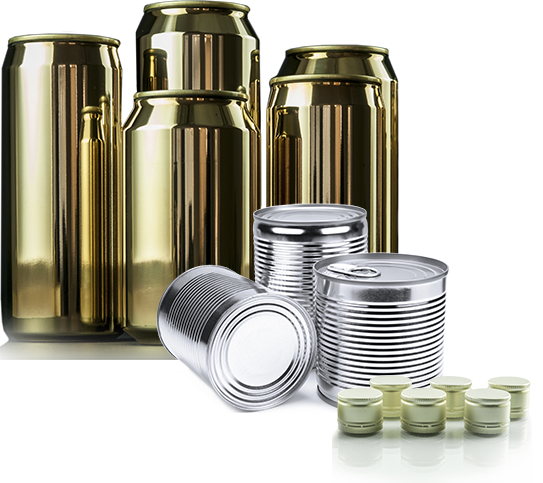 Demand for general metal packaging (diversified cans and aerosols for the food, household, industrial, personal care and paint markets) in Nigeria was weak, feeling the impact of lower disposable incomes after the depreciation of the currency in recent years. In Kenya, trading conditions remained challenging after a key customer expanded the self-manufacture of certain can sizes. In Tanzania, the market for crowns remained extremely competitive. In Zimbabwe, volumes and profitability improved on strong demand. However, the limited availability of forex required to pay for raw material imports remained a challenge. Following the market share gains made by Bevcan Nigeria in the year, and the accompanying increase in utilisation rates, we are investigating opportunities to add more can sizes to our offering and debottleneck our line to increase our production capacity. In Angola, we expect to complete the conversion of our tinplate beverage can line early in the 2020 calendar year. Demand for general metal packaging in Nigeria is expected to pick up on increased government spending ahead of elections in February. To take advantage of the strong demand for food cans in Nigeria, we will invest approximately R100 million in our first food can line in the country, in Lagos, which should come on line at the end of calendar year 2019. In Zimbabwe, we are uniquely positioned to take advantage of any improvement in economic conditions. Similarly, in Zambia, should the copper price recover, demand for metal drums from the mining industry should increase. In Kenya, we will continue to work to improve efficiencies and profitability.